One of D.C.'s fave traditions is about to begin again. 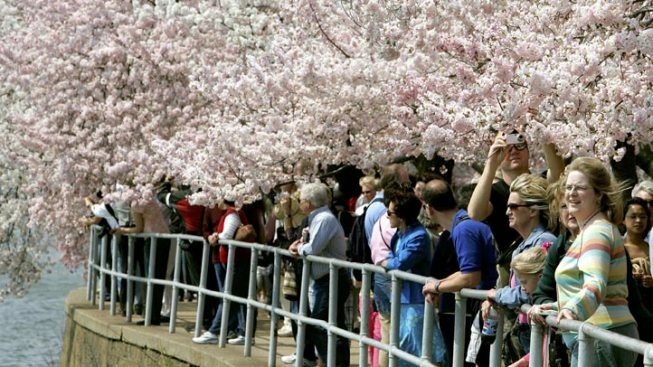 The National Cherry Blossom Festival starts Saturday. Hundreds of thousands of people from around the world are expected to tour the Tidal Basin in the coming days, admiring the trees that have become a sign of spring in the District. Highlights of the festival include Family Day at the National Building Museum (Saturday, March 26; 10 a.m.-3:30 p.m.), the Cherry Blossom Ten Mile Run (Sunday, April 3), and the Sakura Street Festival (Saturday, April 9; 11 a.m.-6 p.m.), plus daily performances, guided tours and activities. See all events here. Due to forcecasted snow on Sunday, the Kite Festival has been postponed. The new date will be announced on Monday. The National Park Service expects the trees to be in their peak blossoming period next Tuesday through Friday. The festival itself runs through Sunday, April 10. 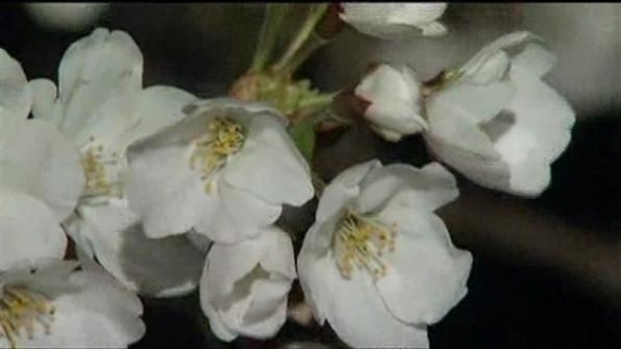 For NBC Washington's full coverage of the Cherry Blossom Festival, click here. Snow on the Cherry Blossoms? Jane Watrel reports on concerns that the cold weather will drive tourists away and shorten the peak for the cherry blossoms.